David Bruckmeier analyses the limits of UN peacekeeping operations in the Central African Republic conflict as violence escalates to near unprecedented levels. A year and a half since Faustin-Archange Touadéra’s surprise election as president, cautious optimism about the country’s future has all but eroded as the Central African Republic has descended back into all-out violent conflict. Since late 2016, violence has escalated to levels not seen since the height of the civil war in late 2013 and early 2014. This has dashed hopes that a relative lull in fighting following a fresh disarmament, demobilisation and reintegration (DDR) initiative by the new government signalled the conflict was tailing off. Instead, recent developments make it clear that the potential for escalated conflict is higher than ever. With nearly 400 people killed as a direct result of clashes between armed groups, May 2017 was the deadliest month in three years as internecine tensions between different splinter groups of the mainly Muslim former Séléka alliance peaked. The onset of the rainy season brought only mild respite – fatalities remained at two to three times the 2015-2016 monthly average throughout the summer. The United Nations estimates that the number of internally displaced has grown by nearly 50 per cent to 600,000 since the beginning of the year as a result of fighting, in addition to 500,000 who have fled to neighbouring countries. As the population in need of humanitarian assistance continues to grow, those who provide help have themselves become targets in the conflict. According to the International NGO Safety organisation (INSO), a charity monitoring attacks on humanitarian workers, the Central African Republic ranks ahead of even Syria and Afghanistan by number of incidents involving non-governmental organisations (NGOs), and third behind those countries in terms of NGO casualties. At this precarious moment in the Central African Republic’s history, the international community is turning its back on the country. In October 2016, France officially ended its Operation Sangaris military intervention, generally considered the most effective of the foreign deployments in the country. This has left behind only an overburdened and understaffed UN mission that has failed to contain the violence. 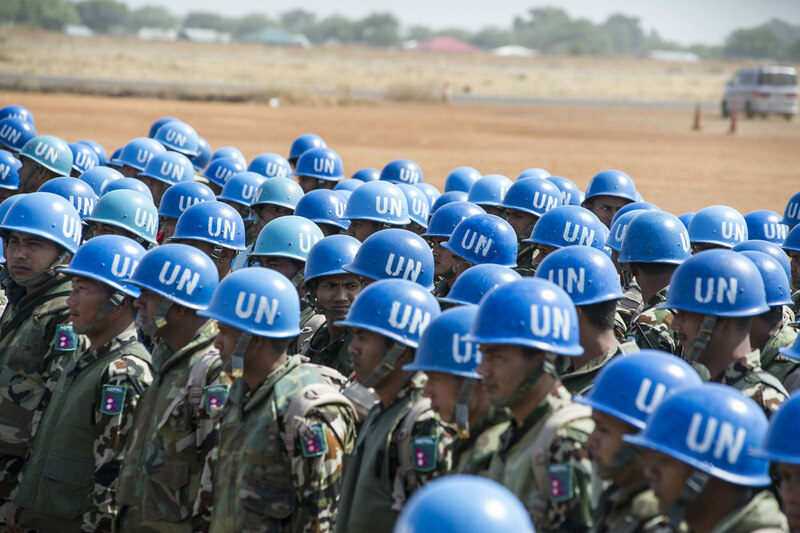 MINUSCA, the United Nations mission to the Central African Republic, clearly exposes the limitations of the current approach to peacekeeping, in which developed countries, some of them increasingly reluctantly, provide the budget and poorer countries supply the manpower but reject the kind of proactive intervention that may be called for in difficult settings. They also often lack professionalism and discipline. In Central African Republic, this has been evidenced by numerous allegations of sexual violence against Congolese blue helmets, culminating in the withdrawal of the country’s MINUSCA contingent in June. This modus operandi has increasingly come under attack. Amid a US$600 million cut to the UN peacekeeping budget, the Central African Republic not only highlights, but is at the centre of a struggle over the future direction of peacekeeping which has the potential to worsen before it improves. Apart from international apathy and the security vacuum it has created, several factors have contributed to the flare-up in violence. Unaddressed structural deficits, including a weak state unable to provide even a basic security apparatus, impose the rule of law or provide a small degree of economic opportunity, together with a history of patronage and political leaders relying on armed groups to shore up their power, have amplified the explosiveness of recent developments. The broad political and popular support that non-partisan President Touadéra enjoyed following his election victory in February 2016 has eroded rapidly. Touadéra‘s steadfast refusal to include leaders of the major armed groups in his government, breaking with the long-standing practice of cooptation, has turned these groups against him. Sensing an opportunity to restore their influence, former presidents Michel Djotodia and François Bozizé mobilised their supporters and pushed to weaken the new government. In October 2016, following months of fruitless DDR negotiations, several ex-Séléka factions under the command of Front Populaire pour la Renaissance de la Centrafrique (FPRC)-leader Nourredine Adam formed an unusual coalition with Christian anti-Balaka fighters loyal to François Bozizé, whose ouster by the Séléka alliance in 2013 had triggered unprecedented sectarian bloodshed. The groups pooled their military power and strengthened their position vis-a-vis the government and rival groups. Fighting over resources and territory between this coalition and the Union for Peace in the Central African Republic (UPC), another ex-Séléka faction that has refused to follow Adam’s call for unity and whose membership is dominated by ethnic Fulani, was the main cause of casualties in the first half of 2017. In this context, ethnic identity has become another pretext for armed groups to stoke violence, which in turn serves to justify their existence as protective forces for the communities they claim to represent. Yet, while tensions between UPC and the FPRC-led coalition appear to have eased since May, violence between Muslims and Christians has resurged. In the northwest, Return, Reclamation and Rehabilitation (3R), another Fulani “self-defense“ group, is again wreaking havoc against Christian communities after a period of inactivity. In the centre and south of the country, clashes between FPRC or other ex-Séléka factions and anti-balaka militias have increased. In the southeast, there are signs that the Lord’s Resistance Army, although severely weakened by a US-Uganda military operation, is regrouping following the end of the intervention. Throughout the country, local community-based militias have also proliferated. 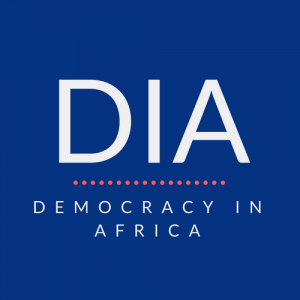 Placing the blame for the escalation on Touadéra‘s government would be to overestimate the influence the government has in a country where political clout has traditionally been intertwined with fighting strength. In attempting to break the cycle of violence and restoring a semblance of stability, President Touadéra faces a perfect dilemma: the disarmament and demobilisation of armed groups is a precondition for the stabilisation of the country, however the government is well advised not to accede to demands of wholesale legal immunity and political representation for leaders of armed group responsible for grave human rights abuses. Impunity will only prevent reconciliation and reinforce the country’s divisions. Moreover, as the Central African Republic’s own history has shown, attempting to contain those who seek to undermine government by inviting them into it does little to deter future rebellion. Yet, with an army of 6,000 poorly equipped and motivated troops charged with the task of securing a territory larger than France, and being able to offer little to compete with the financial rewards armed groups offer their recruits thanks to predation, looting and the control of mining operations and border crossings, the government has neither the sticks nor the carrots to get armed groups to comply. Thus, the Central African Republic looks set to remain stuck in a vicious circle, where violence undermines governance and an absence of government further promotes violence. The country does not have the means to overcome this impasse alone, but more than three years of international interventions have also done little to help it break out of the cycle. In 2017, all the elements that led to the outbreak of war in 2013 are not only still present but have arguably deteriorated. What little infrastructure and national cohesion there ever was has been destroyed by four years of violence. In October, UN Secretary-General António Guterres called for an additional 900 peacekeepers to be deployed to the Central African Republic. Yet, until the international community finds a new consensus on what peacekeeping is supposed to accomplish and how to achieve it, it is doubtful whether they would make much of a difference.